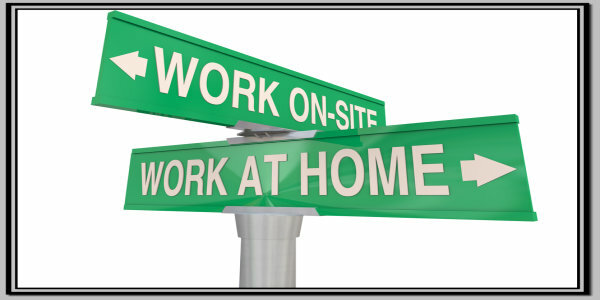 Telework, or telecommuting, means working at home or closer to home. With teleworking, employees work at home one or more days per week. Communication is accomplished by phone, fax, modem, and teleconferencing. Nationwide, more than 20 million workers are going to work simply by picking up the phone or turning on their computers. The employee’s home provides a good alternative because it allows the worker to be more productive with fewer distractions, and allows greater concentration with longer periods of uninterrupted work time. This workplace alternative pays real dividends for area businesses and their employees, while reducing traffic congestion and air pollution, increasing the area’s economic vitality, and bolstering overall quality of life. While telecommuting is not for everyone, there is no question that in today’s internet age, most workers expect to be able to do it at least part of each week or month. So, for the employers who seek to recruit and retain good employees, you’d do well to be flexible enough to allow telecommuting whenever possible. An employee with a minor illness, such as a cold, would be better off working at home. A deadline is pressing and the employee can be more productive working at home. Weather, traffic conditions or personal appointments make it smart for an employee to work at home for a day or more. An employee with a disability is better served by being able to work from home. High Pollution Advisory days would be an ideal time to allow employees to work from home to reduce the number of vehicles on our roads. You’ll find advocacy groups such as the International Telework Association & Council (www.telecommute.org) pointing out these benefits: reduced absenteeism, increased productivity, better work/life balance, potential savings in real-estate costs, and reduced costs for recruiting and retaining works. Some may argue that the last benefit is the most critical—workers today want this option and the empowerment that goes with it.